Combine the power of your Professional or Educator License with Microsoft Surface Hub. Discuss diagnoses as a team and plan actions and outcomes through hands-on collaboration. Utilize the pen tool to to virtually dissect, annotate and discuss treatments. 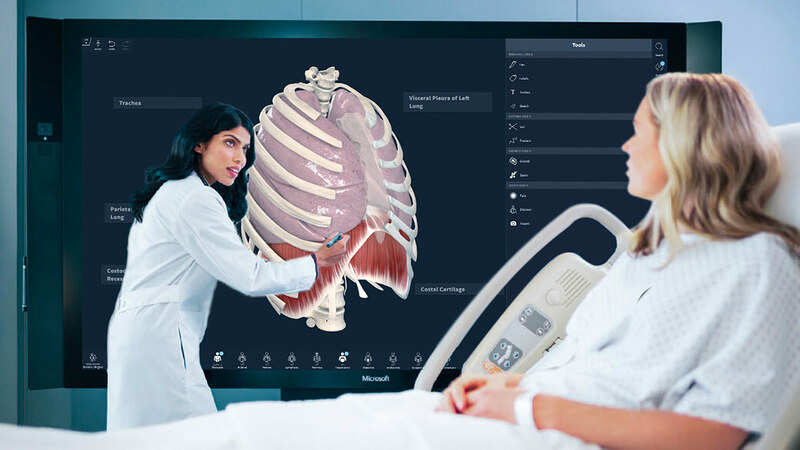 Enhance patient understanding with real-time demonstrations that patients will really understand and collaborate across the meeting table or across cities. Surface Hub makes working together a breeze. 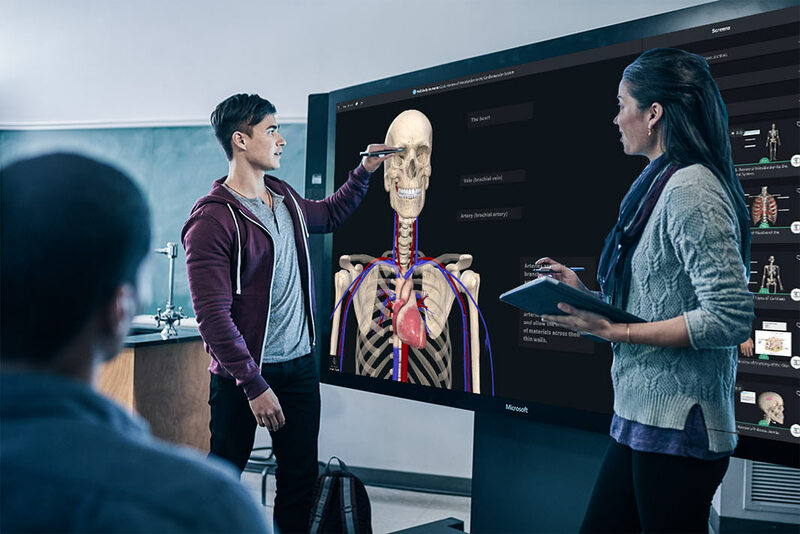 Increase teaching efficiency interactive collaboaration by bringing Microsoft Surface Hub into your classroom with your Educator License.